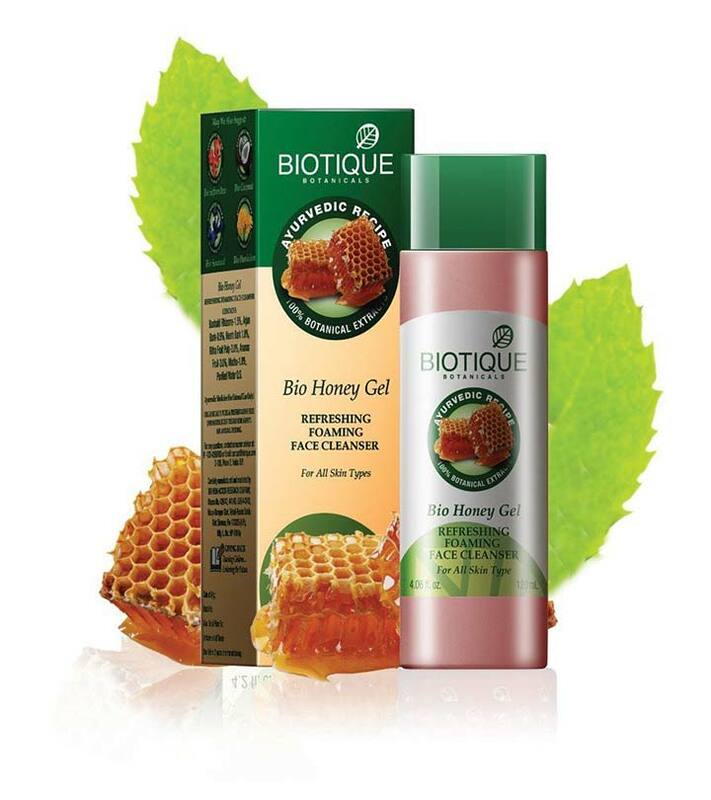 ‘Biotique’ is well-known for its 100% natural, ethical skin and hair care products. Each and every item launched by this popular Ayurvedic brand is free from damaging chemicals, harmful preservatives and brutal animal testing. Moreover, they come in environment-friendly packaging that can be recycled easily. Let’s check out some of the best Biotique face care products available in India. 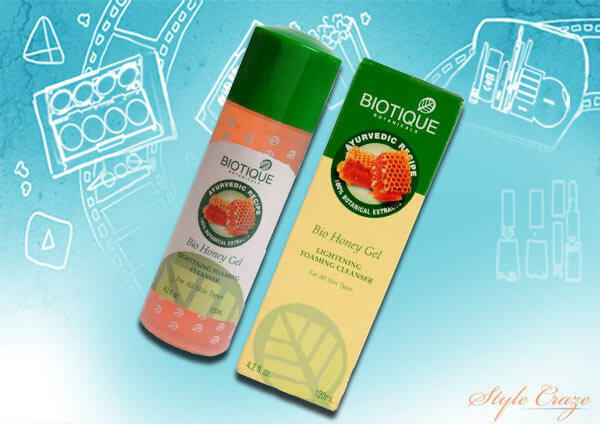 The Bio Honey Gel is a fresh-foaming skin cleansing product with exclusive skin lightening capacity. The best thing about this Biotique cleanser is that it is 100% free from harsh soaps and is suitable for all types of skin. It is a gel-based cleanser that contains pure honey, ritha, Himalayan water and stem bark extracts of arjun, banhaldi and chhoti duddhi (euphorbia plant). Massaging the face and neck with it twice a day can cleanse your skin thoroughly, make it softer and improve your complexion. This biotique face product shall always rank first! Exfoliation is one of the vital steps for facial skin care and this Bio Papaya Scrub is ideal for this purpose. The major ingredient of this product is the flesh of pure papaya fruit, which is blended with a number of effective components like banana, date palm, neem, methi, banhaldi, beeswax, mango seed, babool, groundnut, zinc, and Himalayan water. It is a ‘smoothing and revitalizing scrub’ that cleans out the openings of skin pores, softens dead cells, and eliminates them as required, thereby revealing a fresh layer of surface skin. 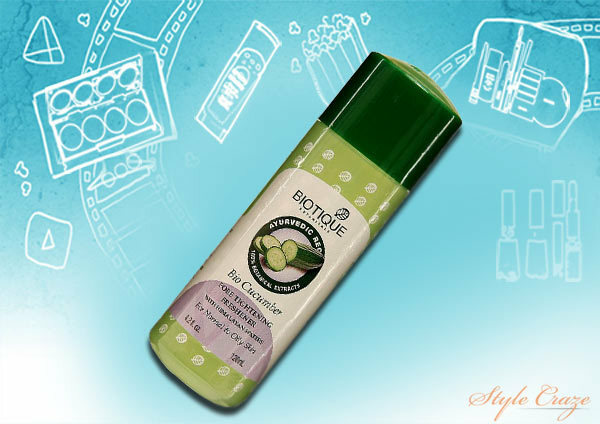 The Bio Cucumber Pore Tightening Freshener is a purifying lotion from Biotique for people having oily and normal skin. It can detoxify your skin cells, tighten your pores and help you maintain the perfect pH balance to get a radiant skin. It is very refreshing due to the presence of cucumber and peppermint oil. Some other ingredients that make it a wonderful product are coriander, daruhaldi, nutgalls and fresh Himalayan water. 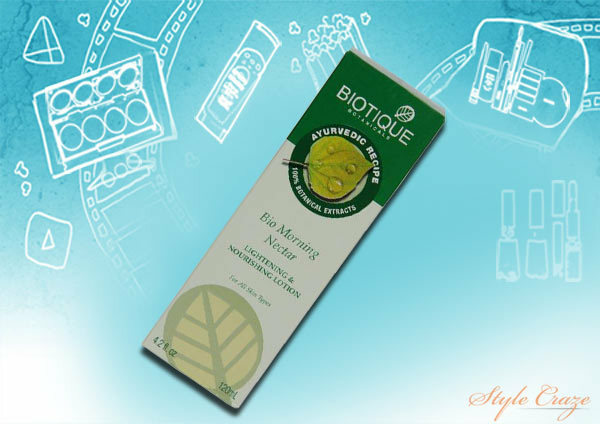 Here is another bestseller from Biotique – the Bio Morning Nectar Lightening & Nourishing Lotion for all skin types. It is enriched with 100% pure honey, kusumbhi or safflower extract, wheat germ, methi, vach or calamus, baheda and seaweed, which go deep into your skin and provides utmost nourishment. The Bio Morning Nectar is known to restore the natural oils as well as lost moisture of your skin cells. Regular use of this product can also lighten your complexion considerably. The Bio Quince Seed Nourishing Face Massage Cream is the ultimate solution for people having dry and dull skin. The major ingredient of this super effective product is quince seed oil, which is perfectly blended with black mustard, rapeseed, sunflower oil, kusumbhi and bark extract of lodhra. It also contains plenty of vitamin E and certain hydrating molecules that provide food to your skin, make it smoother, enhance elasticity and induce freshness. Pamper your facial skin by massaging it every day for 10 minutes in a circular motion. Need to get rid of those ugly spots and acne scars? 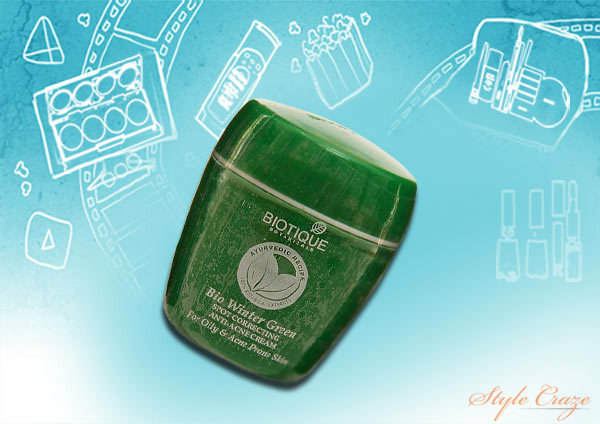 Nothing can be better for you than this Bio Winter Green Spot Correcting Anti-Acne Cream. It is basically an amazing mixture of Indian winter green or gandapura, daru haldi, neem and euphorbia plant extract, which is ideal for oily and acne-prone skin. You can apply it on the spots or blemishes whenever required to clear them up and get a flawless skin. This cream can also soothe your face by reducing flakiness. Milk is very helpful in vitalizing your skin and making it glowing. 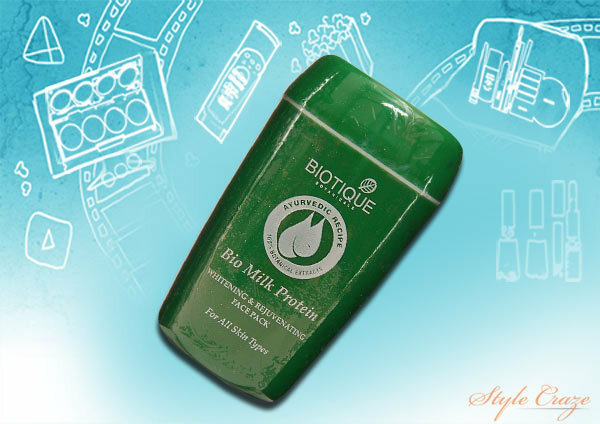 Hence, Biotique has come up with its Bio Milk Protein Face Pack for ‘whitening and rejuvenating’ all types of skin. Apart from milk protein extracts, this product also comprises honey, neem, wheat germ, almond oil, sunflower oil, seaweed and yeast which, upon regular use, can moisturize and invigorate your skin, thereby making it soft, supple and youthful. It can eliminate your wrinkles and improve your skin tone significantly. 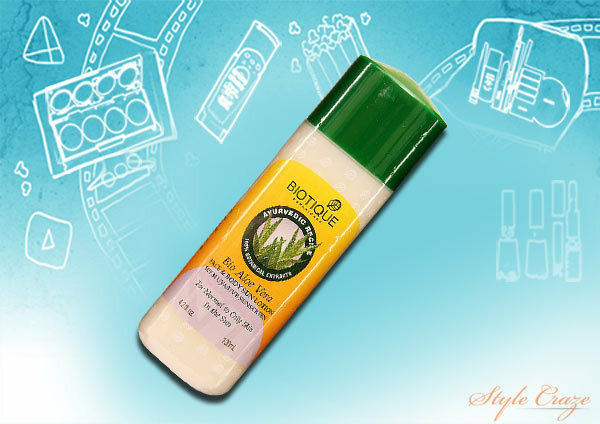 Protect your skin from the harmful rays of the sun with this Bio Aloe Vera Sun Cream. It is a specially formulated sunscreen with SPF 30 UVA/UVB, which is highly suitable for normal and oily skin. Aloe Vera is the key element of this product, while other components used are sunflower oil, chandan, safflower oil and zinc. Application of this cream before exposure to the sun can prevent skin cancer and lower the chances of premature ageing. It keeps your skin hydrated and fair even in the scorching summer days. Who doesn’t love to get a bright and radiant skin? 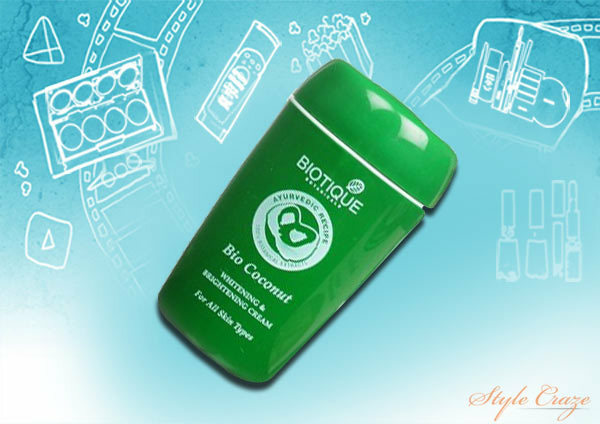 The luxurious Bio Coconut Whitening & Brightening Cream can help you obtain exactly what you wish. It is made of pure virgin coconut water, almond oil, manjistha, dandelion extract and lemon extract, which are highly effective in fading away all types of blemishes and making your skin remarkably brighter. Massage your skin with this nutrient-rich cream twice a day and get a visibly clear and fair complexion. Last but not the least is an outstanding serum for your everyday skincare regime. 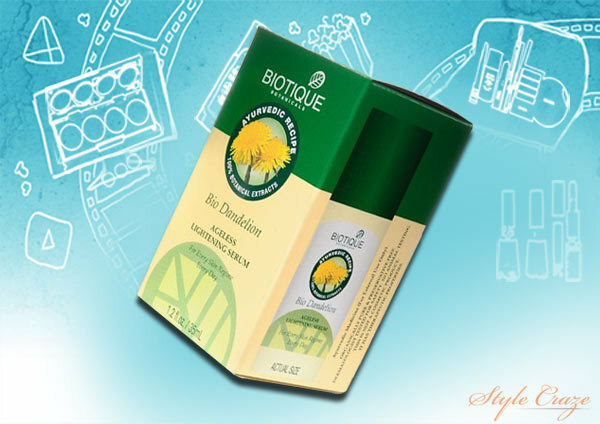 The Bio Dandelion Ageless Lightening Serum, containing pure dandelion extract, sunflower oil, ground nut oil, quince seed oil, garden cress, yeast and fresh Himalayan water, is the right choice for using before moisturizing your skin each time. It is full of vitamin E as well as essential minerals which help in removing dark spots, eliminating wrinkles, inducing moisture and lightening your skin tone. So, which one is your favourite from this list of Biotique face care products? Let us know by leaving a comment.